At the café of choice for meeting public servants and activists, Lolas in Phoenix, the new Executive Director of the Maricopa County Democratic Party, Maritza Miranda Sanez chated and discussed her background as well as how the county party is beginning to prepare for the 2020 elections. Ms. Saenz has”grown up” in the political arena since she was a small child. Her father was very active in “civil rights, school boards, and supporting unions.” She has worked for her father’s law firm, helping Dreamers being one of her responsibilities. 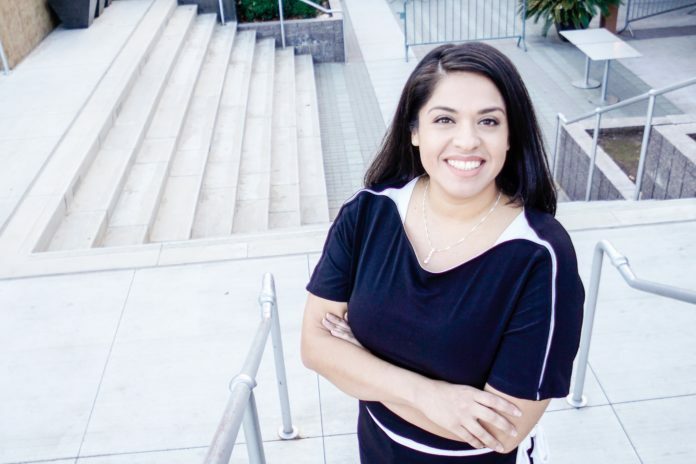 She has also held the position of chairing the Latino Outreach Committee for the Maricopa County Democrats and as Vice Chair of Legislative District 27. She ran for the LD 27 State Senate Democratic Nomination in 2016. Below are Ms. Saenz’s responses to the questions asked during the interview. 1) What are the major goals you and the Maricopa County Democratic Party have for achieving in 2019? 3) Building a volunteer base and increasing from the 2018 levels. 2) With regards to voter turnout. please describe how you will build on the turnout from 2018? 3) With regards to candidate recruitment for 2020, please describe the progress in that process at the congressional and LD Level. Have all the ones who did not fare well been asked to run again? Are there new individuals you are working with the LD’s to actively recruit and, if so, who and where? 4) At this time, what are the names of the top legislative districts that you forecast going all blue or in part blue in 2020? 5) Please assess the impact of the Democrats so far during this legislative session and the work being done by Secretary of State Hobbs and Superintendent Hoffman. With Republicans not learning the lessons of the 2018 elections and deciding to continue pursuing their turn back the clock reactionary agenda, it is very important, as Ms. Saenz stated, to not lose sight of the fact, that the job of electing candidates that embrace a forward-looking agenda is not over and help, as well as quality candidates, is still needed to prepare for 2020 and beyond. For more information on the Maricopa County Democrat and what they are doing to prepare for 2020, please visit their website and Facebook pages.